Francis, who introduced kayaking to Kuching, have gotten together with some friends to set up Eating out in Kuching (Eat OK). 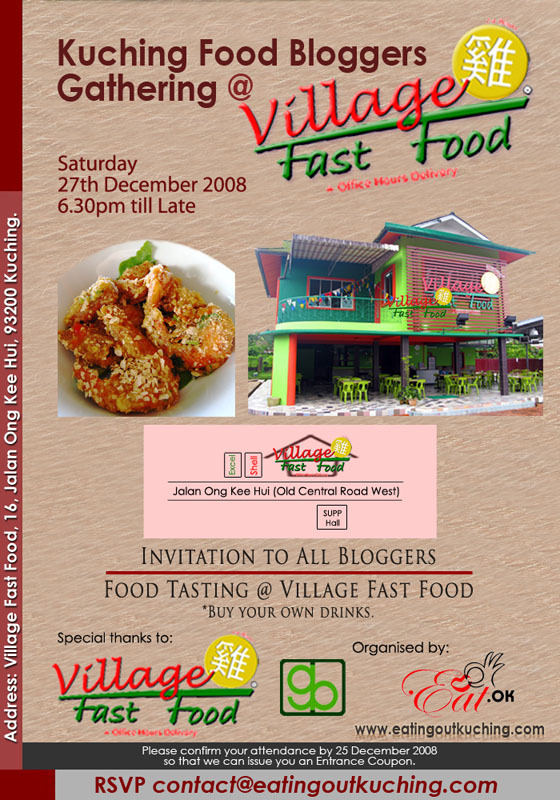 Their first event is a food testing event at the newly opened Village Fast Food, opened by the people who brought us Green Bento. You’ll need to RSVP because they are issuing Entrance Coupons. To do that, go here. Next Do I hear sleigh bells? Thanks for highlighting this – short and sweet! Arrghhh I wanna go but I can’t !!! Food sampling… syokness.